I am currently reading the Supernatural thriller Cradle and All by James Patterson. It features Pregnant teenage Newport Rhode Island resident Kathleen Beavier who finds herself plunged into a series of progressively more terrifying events after she finds herself inexplicably pregnant and visits an abortion clinic in Boston where she finds the surgeon dead under suspicious circumstances and Almost dies herself. Father Justin o’Carroll is also dispatched to investigate as is Dr Neil Shapiro and they discover that Kathleen Beavier is a virgin and that it is an immaculate conception, then Father Justin o’Carroll causes a media frenzy. Anne Fitzgerald discovers a arrogant good looking college student named James Jordan III may be hiding a sinister secret. Elsewhere HIS Holiness Pope Pious XIII at Vatican City also dies in suspicious circumstances but before his death he entrusts Father Nicholas Rosetti with some precious information concerning the mysterious and unexplained deadly worldwide outbreak of Polio, the Vatican papal conclave then chooses New pope Clement XVI. Father Rosetti then visits Maam cross Galway, Ireland to investigate a second Immaculate conception and meets pregnant virgin Colleen Gallagher at the holy trinity for girls run by sister Katherine Dominica. However He mysteriously starts to feel seriously ill and is later involved in a plane crash, and it feels as if something sinister is trying to stop him. Then Father Rosetti goes to meet Kathleen and Anne goes to Ireland to meet Colleen. Tragedy strikes again when James Jordan dies in a car accident and Ida Walsh tries to kill Kathleen. John Cardinal Rooney, Anne Fitzgerald and Father Nicholas Rosetti soon suspect something major is about to happen and Kathleen and Colleen find themselves in the midst of a terrifying fight between the forces of Good and Evil. In 1979, the band recorded the Lee Thompson composition “The Prince”. The song, like the band’s name, paid homage to their idol, Prince Buster.That debut album, One Step Beyond…included a re-recording of “The Prince” and its B-side “Madness”, and the band’s second and third singles: “One Step Beyond” and “My Girl”. The band also released an EP featuring one album track and three new tracks. The result was the Work Rest and Play EP, which was headlined by the song “Night Boat to Cairo”, from the One Step Beyond album. In 1980, the band released their second album, Absolutely,which spawned some of the band’s biggest hits, most notably “Baggy Trousers”, “Embarrassment” and “Return of the Los Palmas 7”.In 1981, the band released their third studio album, 7,containing “Grey Day”, “Shut Up” and “Cardiac Arrest”. Madness also released one of their most recognised songs: a cover of Labi Siffre’s 1971 hit “It Must Be Love”. In 1982, Madness released their only number 1 hit to date, “House of Fun”. In November 1982, they released their fourth studio album, The Rise & Fall, which included “Our House”. In 1983, they released the single “Wings of a Dove” , followed by “The Sun & The Rain” and the album, Keep Moving. In October 1983, Mike Barson left the band in June 1984, following the release of “One Better Day”. The six remaining members left Stiff Records and formed their own label, Zarjazz Records, which was a sub-label of Virgin Records. In 1985, the label released the band’s sixth album, Mad Not Mad. While The band were recording their next album, “musical differences” arose between band members, and in September 1986, the band announced that they were splitting and released a a farewell single, “(Waiting For) The Ghost Train”. In 2004, the band played a series of low-key concerts as The Dangermen, performing covers of classic reggae and ska songs. This led to the release of the album The Dangermen Sessions Vol. 1. In 2007 The six remaining original members of Madness then began working on their first original album in seven years & the non-LP single Sorry was released. A new Madness song NW5 (then still titled NW5 (I Would Give You Everything) and a re-recorded version of It Must Be Love were featured in the German film Neues vom Wixxer in. In June 2008 the group showcased the majority of their new album The Liberty of Norton Folgate which was released on 18 May 2009. . The band also played various festivals, including Pinkpop, Splendour, and Glastonbury. On 27 September 2009, the band also played a free concert on a closed-off Regent Street in association with Absolute Radio. Madness played the Rock en Seine festival near Paris, on the same night where Oasis brothers Noel and Liam Gallagher engaged in a physical altercation, resulting in the split of the band. As Oasis cancelled their headlining slot, Madness, even though having played earlier in the evening, were asked to replace them. Madness accepted the invitation and both of their sets during festival were said to have been extremely well received.As in previous years, the band embarked on a Christmas tour of the UK Some members of the band also appeared in Catherine Tate’s Nan’s Christmas Carol. In September 2010, Madness were awarded the ‘Idol award’ at the Q Awards in London and toured the UK throughout November and December 2010 with their final show at London’s Earl’s Court.In June 2011, the band performed at Meltdown Festival at the Royal Festival Hall & In April 2012 the band appeared at the Coachella festival and made a number of concert appearances across California and in Las Vegas.The summer of 2012 saw two notable performances. In June, the band performed “Our House” and “It Must Be Love”at the Queen’s Diamond Jubilee concert from the roof of Buckingham Palace. . Later, in August, the band were the first to perform at the closing ceremony of the London Olympic Games. The Madness album Oui Oui Si Si Ja Ja Da Da was released In 2012. Musician Songwriter and Film composer Trevor Charles Rabin was born 13 January 1954 in Johannesburg, South Africa. He was Educated at Parktown Boys’ High School in Johannesburg, he took formal piano training before discovering the guitar at age 12. He joined one of his first bands, The Other, when he was 13. He was interested in both Rock and Classical music which His parents encouraged. Rabin also studied orchestration at the University of Johannesburg and trained to be a conductor. Rabin’s early influences included Arnold Schoenberg, Tchaikovsky, Cliff Richard and the Shadows, The Beatles and Jimi Hendrix. He played progressive and heavy rock with his first band, The Conglomeration, he also played with anti-apartheid rock band Freedom’s Children and became a session guitarist and bassist for many jazz bands in South Africa. Rabin formed his first major recording group, Rabbitt, along with Neil Cloud (drums), Ronnie Robot (bass guitar), and Duncan Faure (keyboards, guitar, vocals). They gained popularity in 1975 after appearing at Johannesburg’s “Take It Easy” club. Their first single, was a cover of Jethro Tull’s “Locomotive Breath” Followed by their debut album, Boys Will Be Boys in 1975. Rabbitt’s second album, A Croak and a Grunt in the Night, was released in 1977. Rabin went on to win a South African Sarie music award and won a Sarie for Best Contemporary Music Artist in 1976 and 1977. Rabbitt recorded their third album, Rock Rabbitt before disbanding in 1978. Rabin recorded his first solo album Beginnings in 1977 & also fronted Disco Rock Machine, which released two albums Time To Love and Disco Rock Machine 2. Rabin also began working as a producer and released the album Wolf, co-produced with Ray Davies of The Kinks in 1981 with contributions from Manfred Mann’s Earth Band members Chris Thompson and Manfred Mann. In 1982 Rabin auditioned with the prog-rock supergroup Asia and considered joining a proposed supergroup with future Asia members John Wetton and Carl Palmer and also ex-Yes keyboardist Rick Wakeman. Rabin then met bassist Chris Squire and drummer Alan White, longtime members of The band Yes, and soon Rabin, Squire and White began collaborating under the name Cinema, they were later joined by original Yes keyboardist Tony Kaye to complement their live performances and Trevor Horn. Rabin had written several songs for what became 90125 including “Owner of a Lonely Heart”. 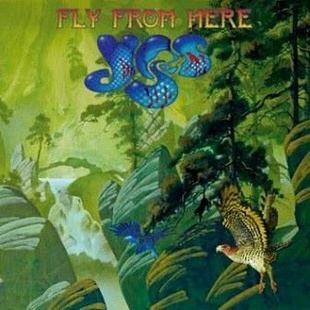 Squire then met longtime Yes vocalist Jon Anderson inLos Angeles and Anderson joined as vocalist. Both “Owner of a Lonely Heart” and “Leave It” became major hits. Yes also received a Grammy award in 1984 for the instrumental “Cinema” and toured Europe and America. Rabin contributed his acoustic guitar solo, “Solly’s Beard” and played on Frankie Goes to Hollywood’s debut album Welcome to the Pleasuredome. 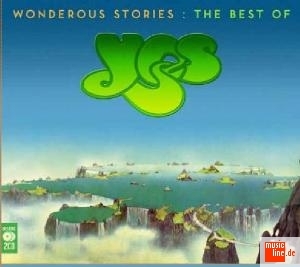 In 1985, Yes began recording their next album, hampered by tensions between Anderson, Squire and Horn. Eventually, Rabin assumed control of the project, with Horn resigning as producer. Demos have emerged with Trevor Rabin singing lead vocals on “Final Eyes” and “Rhythm of Love.” Yes’s next album Big Generator emerged in late 1987, with songs “Love Will Find a Way” Final Eyes “Shoot High,Aim Low” and “Rhythm of Love.” Anderson left Yes and formed Anderson Bruford Wakeman Howe. Rabin also completed his fourth solo album “Can’t Look Away” released in 1989. Tcontaining the anti-apartheid ballad “Sorrow (Your Heart)” & “Something to Hold on To”, Which earned a Grammy nomination for Best Short Form Music Video. Trevor Rabin toured with drummer Lou Molino III, fretless bassist Jim Simmons and keyboardist-composer Mark Mancina on the Can’t Look Away tour which was recorded as 2003’s Live in LA, and featured interpretations of ’80s Yes material, as well as highlights from his Wolf album. Rabin wrote three songs for Anderson Bruford Wakeman Howe’s second album. Both Yes line-ups worked on the next album Union separately and Rabin wrote the songs”Lift Me Up” and “Saving My Heart. Sadly Steve Howe, Bill Bruford and Rick Wakeman left. Trevor Rabin produced Yes’s next album Talk, featuring the songs “Endless Dream”,”The Calling” and “Walls” Which was a collaboration between Rabin and Roger Hodgson, (Supertramp). However Rabin left Yes after the tour. He next collaborated with Wakeman, on the song “Never is a Long, Long Time,” from Wakeman’s album Return to the Centre of the Earth in 1999. In 1996, Rabin performed Yes and Rabbitt songs during the Prince’s Trust Concert in South Africa and also released demo versions of pre-90125 Yes compositions and solo work, entitled 90124, as well as Live in LA, recorded at the Roxy in Los Angeles in late 1989. In 2004 Rabin also performed in aid of the Prince’s Trust with Yes at the Wembley Arena in London. Trevor Rabin has received many awards including several Grammy nominations, one Grammy win, eleven BMI film score awards, and a lifetime achievement award from the Temecula Film Festival. His composition “Titans Spirit” from Remember the Titans has been frequently featured in NBC’s closing montage and credits for their Olympics coverage. It was also played following United States President-Elect Barack Obama’s speech upon winning the 2008 US Presidential Election, and served as the backdrop for the ensuing celebration. Rabin also composed the theme for TNT’s coverage of the National Basketball Association in 2009 and the theme for NCAA’s March Madness in 2011. He composed the score for Disney’s Mission: Space attraction at Epcot. In 2011 Rabin was awarded at the 26th Annual ASCAP Film & Television Music Awards in the Top Box Office Films category for The Sorcerer’s Apprentice. In 2012 he released the all-instrumental solo album Jacaranda and was presented with the Henry Mancini Award at the 27th Annual ASCAP Film & Television Music Awards in 2012 and is currently working on new solo material.